* And others, St. Anthony's provides "Outreach" to the very poor of Jamaica. In Father Paul's words "It is hard to say exactly when the idea of a children's home began, but it is safe to say that the seed has been sown, and the thought of it has now emerged to where we are today." 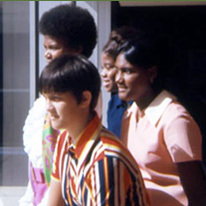 The mission starting in 1959, and St. Anthony's Home was formally chartered in 1973. It is not possible to house all the poor children in Jamaica, so we must provide assistance in another manner. Through the establishment of the "Outreach" program, we can care for children living in poverty. No matter what the need, our efforts continue to help many desperate families throughout Kingston. We have successfully "raised" over 30 children through his "Outreach" program and many of these children are professional members of society. Almost all graduated from college and a few even attained PHD's. When provided for and encouraged all children even those from the most extreme circumstances are changed forever. Since the beginning over 200 children have passed through our doors and continue to be treated as members of one family. It is typical that once a child enters St. Anthony's Home they show great improvement in their behavior and so many have received awards in school. Many have obtained honors during their formative years. 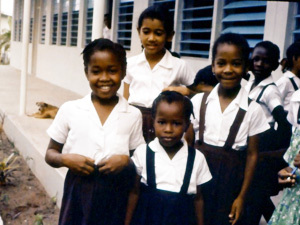 Since 1973, over 40 children who continued on and graduated from colleges in the United States, Canada and the West Indies. At least 50 children have married and become successful partners and parents. A few children continue on at St. Anthony's to help run the home and some return for short periods to help. 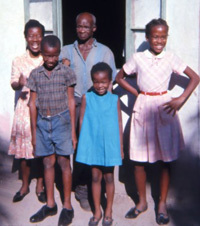 Over 4 children have received a PHD in several disciplines including Economics, Special Education, History and Microbiology and are working throughout the world, in England, the West Indies and the United States. There are many social divisions in our world and we pray for forgiveness of society that discriminates against the poor, not only in housing, but in the rewards given to labor. We promote and teach love between the classes. We have given an example of how to live as a family; making sacrifice for the love of the poor. When true justice has been reached, then we will be a happier community and society. In 2010, our Home celebrated it's 37th Anniversary of giving and many return home each year for the celebrations. Without the opportunity of this type of home, many of these children would have lost the experience to realize achievements and the blessing of family. St. Anthony's Children's Home relies on every dollar generously provided by our benefactors to make this happen. Please visit Our Success page to view the list of our family and their achievements from 1926 - 2010!